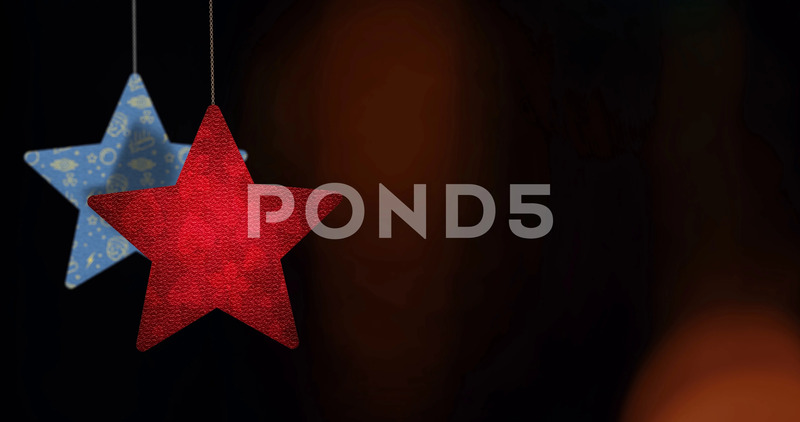 Description: Christmas star ornaments are swinging in front of a bokeh Background. 3D rendering. Includes empty copy space for your title. Real 4K resolution.